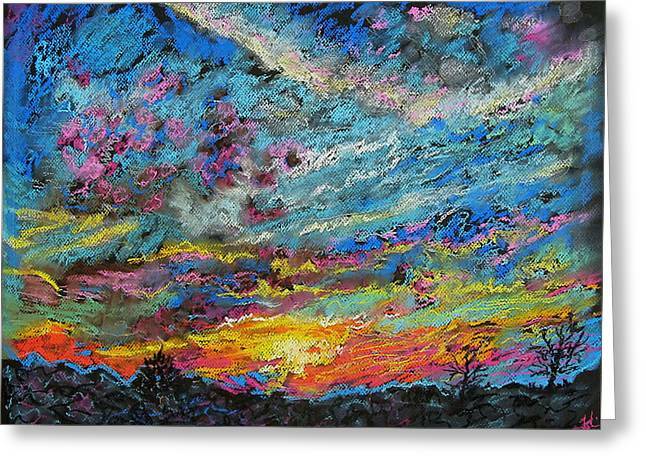 Glorious Sunset 4 is a painting by Laura Heggestad which was uploaded on January 16th, 2010. Such a stunningly beautiful sky over such a simple, plain grazing field outside of town! This has to be about the best spot anywhere for an almost uninterrupted view of the sky in all its wonders. There were lots of tiny spot-clouds (any weather experts out there able to tell me what those may be rightly called?) which took on a fabulous, rosy glow. After a few supporting, blended colors I just cut loose with the textured, gestural scrawls...and I'm so glad I did! I like all of the sunsets very much that are shown here, but this one (most of the time; sometimes my opinion vacillates) is a smidgeon ahead of the others in my book as my favorite. If you want a close, but respectfully unique rendering of this terrific sunset, I'd be happy to create one for you. Please show me more sunset pastel paintings!! love them. 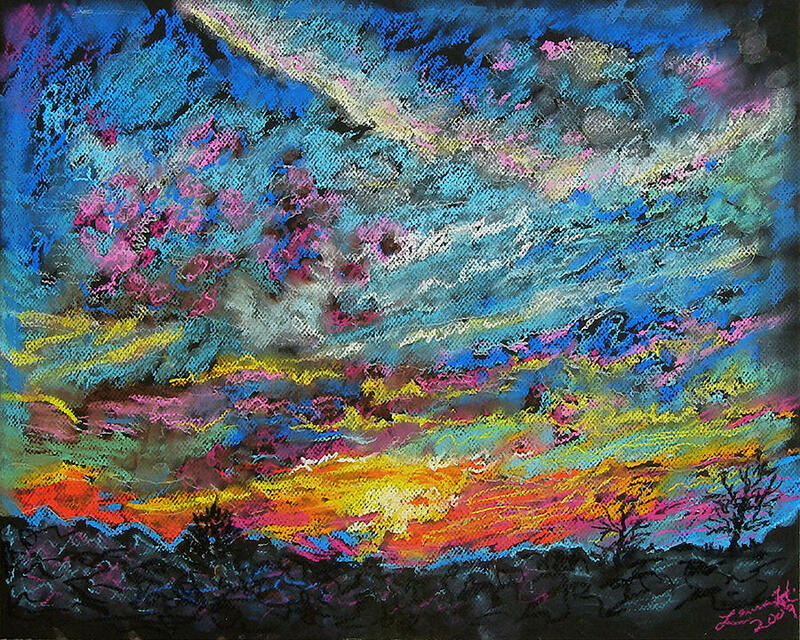 Please so me more sunset pastel paintings!! love them.